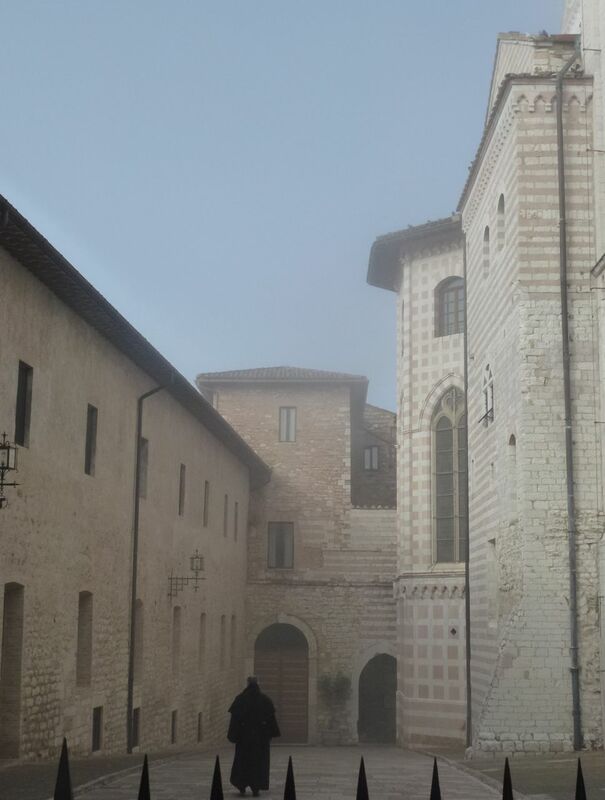 A photo from the town of Assisi in Italy’s Umbria region on a beautiful November morning as the fog lifts along side the Basilica of Saint Francis. I lived in Naples, Italy for three years……I know how much more gorgeous this is than even your beautiful photo. Seeing that kind of history every day was a gift. I appreciate your sharing this photo. I hope your holidays were amazing! So, what will you do with this inspiration? I am sure the trip was incredible! Once I went to the website that was on the bag that contained the rosary I immediately remembered this photo! I am sorry I didn’t put the two together yesterday, but I was so engrossed in Christmas tasks that my mind was not clear. I had to take a few minutes this early Christmas Eve morning to peek at the art and architecture online. How fortunate that you were able to go there in person! I am honored that you thought of me while on your trip and now I am totally inspired too!